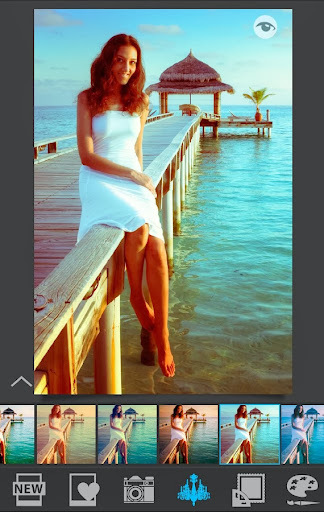 Photo Studio PRO v1.40.2 – Photo Studio for Android® is utilized by both amateur and professional photographers who seek simple, but powerful image processing on-the-go. Users can turn their devices into a fantastic photo editing studio. – Ad-free. No ad banners! – 150+ unique filters in categories: ‘Lomo’, ‘Vintage’, ‘Simple tone’, ‘Black & White’, ‘Old Style’, ‘Cold tones’, ‘Warm tones’ and ‘Art’. – 100+ amazing special effects: shadow, fabric, akvarel, rust, frames, scratch, light, fire, water, heart, brush, noise and many more. – About 50 free stickers and about 500 stickers in Stickers Pack by categories Animals, Romance, Plans, Monsters, Food and many more. – Sketch filters are professional tools to make you an artist by creating pencil sketch of your photos. – Magic Tools contains: Auto-Levels, Sharpening, Area-Auto-Levels, Blurring and Red-Eyes correction. – Picframes helps you combine multiple photos into amazing looking frames with 100 adjustable templates in Classic and Art categories, adjustable borders, frames, corners and backgrounds. 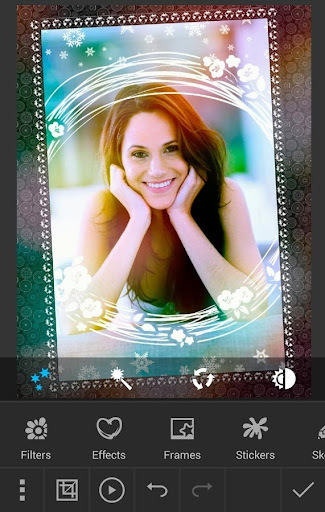 – Free-form collage editor allows you to create amazing collages with your photos and backgrounds. – Color Splash FX with filters: create stunning artwork with your photos by removing or changing colors and combining layers. – Lens Boost – apply lens effect to your photos to get an amazing vignette effect with circle and linear (Tilt Shift) lens. – Apply set of beautiful digital frames to your photos. Available packs: Holiday Frames, Christmas Frames, Summer Frames and Valentine’s Day frames. You can download and try all frames for FREE. – Add text labels to your photos with fonts, styles and colors customization. – Base photo operations: brightness, contrast, RGB color adjustment, hue, saturation, use round and linear masks to highlight appropriate parts of you photos. – Action Sets: collect interesting operations into action sets and apply them again to new photos. – Use photos from your gallery or from Camera. – Save the result in 3 formats: Small, Normal and Large. Save images in JPEG and PNG. – Photo Studio PRO includes all unlocked packs, tools and features. – A pack of exclusive frames with felt, jeans, lace and other handiwork materials for complete and original decoration of your photos. – Wonderful emotions package from the talented E.Larionov.